Hasyudeen: Am I an Apple Polisher? Looking back 5 years ago there were no Apple product at my home. Being brought up in the PC environment, Mac was considered evil. Now, we have few iPhones, iPads, a Macbook and a Mac. Within that short period of time we somehow got convinced to cross over to the "dark side". 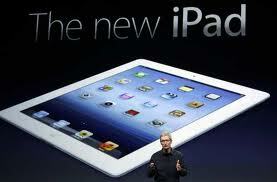 Last week Apple released its new iPad, with retina display and able to support Long Term Evaluation (LTE) technology. It released IOS 5.1 and few other enhancements which reinforced the tablet/smart phone ecosystem. While as usual Malaysians will have to wait for a while before the new iPad arrives, some of the stuff released last week could be already enjoyed through existing Apple toys. Where would Apple go from here? I stumbled upon this article which talks about how Apple is slowly refining its grip on the tablet market. The writer describes the strategy adopted by Apple in strengthening the iPad is a reminiscent of what it did with the iPod for music. 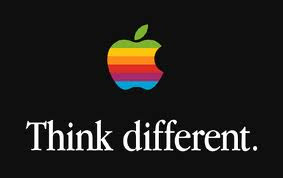 Another article about Apple describes how it adopts a different philosophy as compared to, for example Microsoft, where Apple has no problem to introduce new products which compete with its own high performing products. Interestingly, the writer is talking about post-PC era. Is it going to be real? Competing based on platform is never easy. It requires huge investment and development of a healthy ecosystem which supports the platform. Given the huge cash available to Apple, finance may not be a problem. However, getting developers, users and third party content providers to choose Apple's ecosystem such as iPad as their preferred platform would need a lot of convincing, especially when there are plenty of choices around. Further, Apple is quite firm in deciding how the ecosystem should work such as the iTunes platform. While we have been hearing grumblings from many stakeholders, the functionality and convenient offered by the Apple products, act as the key decider for people to remain loyal to Apple. 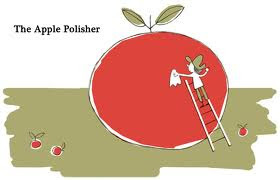 Am I an Apple polisher? Well, I am quite happy with the gadgets supplied by Apple and they help we quite a lot in my work and social life. I don't aspect everybody will support my views but based on the development so far, this innovative company would get my support provided it continues to supply me with products and services that I need. I leave it to you to decide what tools and gadgets that you use but having choices like what Apple offer would certainly help. P/S Most of my kids use Nokia phones. It cost me less to buy those phones for them. Once they earn their own money, they are free to be Apple polishers.